Types of Air Conditioners - Which is right for you? Split systems are the most common type of central air conditioner found in the U.S. Inside the house, tucked in a cabinet, is the evaporator coil, which removes heat and moisture from the air. Outside the house, a metal case contains the condenser coil, which releases the heat, and the compressor, which pumps refrigerant between the two coils. The indoor component of the air conditioner is connected to a network of ducts, and a blower circulates the cold air through them to reach all parts of the house. This type of system is the most economical to install in a house with a central furnace, because it can share the ductwork used by the heating system. All of the central air conditioner systems in this report are split systems. If you decide that a heat pump is right for you, but you live in a colder climate, a specialized type of heat pump, called a ground-source or geothermal heat pump, could be an option. It works by drawing heat out of the ground rather than the air. However, while long term energy savings can be impressive, a geothermal heat pump costs much more than other types of HVAC systems -- about 40 percent more says FamilyHandyman.com -- and not every contractor is familiar with or capable of doing the installation. Packaged central air conditioners combine the evaporator, condenser and compressor in a single unit. The air conditioner is usually placed on a roof or a concrete slab near the foundation. Ducts running through the exterior wall or roof draw air from inside the house and return cooled air indoors. This type of air conditioner can also be used in small commercial buildings. When combined with a set of heating coils or a natural gas furnace, it eliminates the need for a separate furnace inside the building. Ductless mini-split systems can be a good choice for houses that do not have ductwork. Like a basic split system, the ductless mini-split combines an outdoor compressor and condenser with one or more indoor air-handling units. These units are mounted high on the wall and have blowers attached. Tubing connects the indoor and outdoor units and circulates refrigerant between them. Each indoor unit is installed in a separate room and cools that room only, much like a window air conditioner. When comparing central air conditioners, one term you'll see repeatedly is the seasonal energy efficiency ratio (SEER), a measure of how much energy the air conditioner uses to cool a home. Central air conditioners range from 13 to 28 SEER. The SEER is calculated by taking the total cooling output over the course of a summer, measured in British thermal units (BTUs), and dividing it by the total amount of energy the air conditioner uses over that same period. These figures are based on a theoretical average climate for the United States. In reality, of course, the same air conditioner's performance may vary considerably based on how hot and humid it is outdoors. Smarter House, a project of the American Council for an Energy-Efficient Economy (ACEEE), recommends that people who live in hot and humid climates choose an air conditioner with a SEER of at least 15. They also note that if you have an older system with a SEER of 10, upgrading to a model with a SEER of 15 could cut your air-conditioner energy costs by a third. Another measure of air conditioner efficiency is the energy efficiency ratio (EER). This measures the air conditioner's efficiency at any given moment. It's simply the cooling capacity of the air conditioner, as measured in BTU per hour, divided by its energy consumption in watts. Energy Star ratings for central air conditioners are based on both SEER and EER. To qualify for the label, a standard split-system central air conditioner must have a SEER of at least 15 and an EER of at least 12.5. For packaged units, the requirements are 15 SEER and 12 EER. The Energy Star label is only one certification a central air conditioner can earn for efficiency. The Consortium for Energy Efficiency (CEE) goes beyond the Energy Star ratings by defining four tiers for central air conditioner efficiency. A CEE Tier 0 unit is one with ratings of at least 14.5 SEER and 12 EER -- which meets past Energy Star minimums but falls just below the current criteria. Tier 1 split central air conditioners meet the latest Energy Star minimums of 15 SEER and 12.5 EER. Higher tier systems are ones that exceed that. 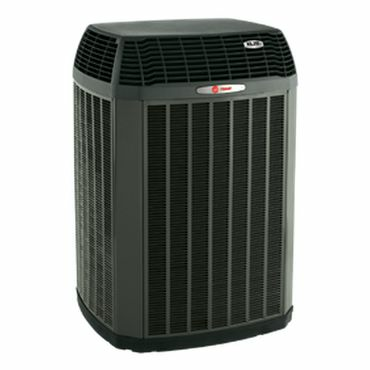 Tier 2 air conditioners have a minimum of 16 SEER and 13 EER, while the Tier 3 specification is a minimum of 18 SEER and 13 EER. State and local governments, as well as utility companies, may offer rebates for choosing a central air conditioner that meets one of these higher standards, so check those to get the best bang for your buck when buying a new central air-conditioner system.